(High Point, N.C., April 12, 2019) – His time with the team did not last long, but Jesmuel Valentin already has a historic note in his High Point Rockers career. The 24-year-old infielder, who was signed by the Rockers earlier this week, has had his contract purchased by the Baltimore Orioles, making him the first High Point player ever to be signed by a Major League franchise. The son of former MLB All-Star Jose Valentin, Jesmuel will be assigned to Double-A Bowie in the Orioles organization. In his last stint at Double-A with the Reading Phillies, Valentin hit .276 in 89 games with five homeruns and 38 runs batted in while sporting a .975 fielding percentage. Valentin was drafted by the Los Angeles Dodgers in the first round of the 2012 MLB Draft. He was traded to the Phillies in 2014 and quickly began rising through the ranks of their system. 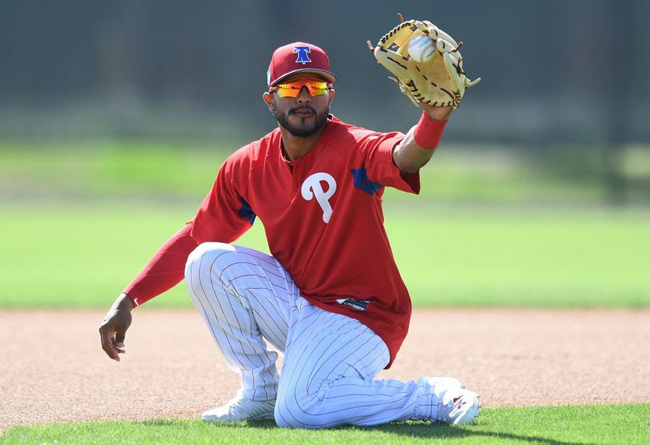 After spending parts of three seasons (2016-18) at Triple-A Lehigh Valley, Valentin was called up to the Majors early in the 2018 season. Born in Puerto Rico, he made his MLB debut on April 29, 2018 and played in 46 total games.